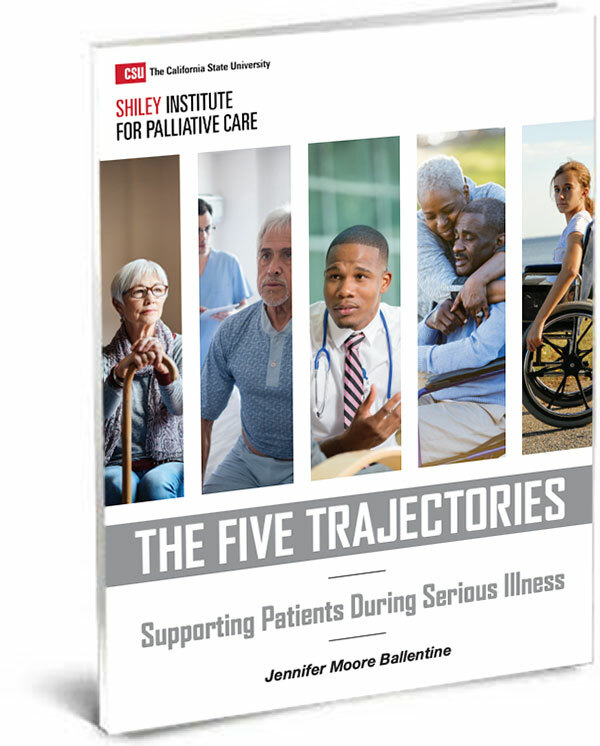 Here is what Dr. John Morris said about this self-paced course: “With the education and tools presented we were able to show that our palliative care team saved the hospital over $2,000,000 in the first 6 months this year. This has been so helpful in getting the hospital to expand funding for palliative care. Now we are planning significant palliative care expansion next year. Thanks for your great course…” John Morris MD Advisor GHS Palliative Care Medical Director Four Seasons Palliative Care Read Dr. Morris’ entire letter on our blog. Kathleen Kerr, BA: Ms. Kerr is a health care consultant with expertise in palliative care, quality improvement and program evaluation. Her particular area of interest is developing feasible, meaningful methods for assessing financial outcomes, with the goal of promoting the growth and sustainability of clinical services. A long-time faculty member of the Palliative Care Leadership Center at UCSF, she brings to the current project more than a decade of experience supporting the development of inpatient palliative care services. She currently serves as Co-Director of the Metrics Team for the Palliative Care Action Community, an effort sponsored by the California HealthCare Foundation aimed at promoting the development, sustainability and growth of community-based palliative care services across California. She is also a core consultant to the Palliative Care Access Project, an on-going effort sponsored by the Coalition for Compassionate Care of California that promotes the development of sustainable community-based palliative care services through educational, technical assistance and dissemination efforts. J. Brian Cassel, PhD: Dr. Cassel is Assistant Professor in the division of Hematology/Oncology and Palliative Care, and Director of Analytic Services at Massey Cancer Center, at Virginia Commonwealth University in Richmond, VA. His research interests include cancer informatics, and health services research on specialist palliative care services in the US and the UK, specifically the costs and financing of cancer care and palliative care. As a faculty member of VCU’s Palliative Care Leadership Center he has helped to train more than 140 palliative care teams from all over the US. He is a scientific member of the VCU Massey Cancer Center, where he helped to develop and currently oversees the Massey Data Analysis System. He serves as Co-Director of the Metrics Team for the Palliative Care Action Community, and was lead faculty for the pre-conference workshop, Comprehensive Analyses for Planning and Evaluating palliative care Services, which was offered at the 2014 AAHPM/HPNA Annual Assembly. Michael W. Rabow, MD: Dr. Rabow is a Professor of Clinical Medicine in the Division of General Internal Medicine, Department of Medicine, at the University of California, San Francisco. Board-certified in internal medicine and hospice & palliative care, Dr. Rabow directs a leading outpatient palliative care co-management program– the Symptom Management Service—at the UCSF Helen Diller Family Comprehensive Cancer Center. He is a national expert in outpatient palliative care research and service delivery, and conducted one of the few controlled trials to date of outpatient palliative care consultation, as well as multiple surveys of current outpatient palliative care consultation practices nationally. Dr. Rabow serves as the lead of the project advisory board for the Improving Palliative Care in the Outpatient Setting (IPAL-OP) initiative at the Center to Advance Palliative Care. Dr. Rabow is also a nationally-recognized educator and education researcher. As a Project on Death in America faculty scholar, he conducted longitudinal research on medical school training in end-of-life care. He was the UCSF lead on a California statewide project to develop an online palliative care education curriculum for the 5 University of California medical centers. He is currently a member of the UCSF Haile T. Debas Academy of Medical Educators. Shelley R. Adler, PhD: Dr. Adler is a Professor in the Department of Family and Community Medicine and the Osher Center for Integrative Medicine, where she serves as Director of Education and holds the Osher Foundation Endowed Chair in Education in Integrative Medicine. Dr. Adler is also Director of Education at Zen Hospice Project. She was trained in medical anthropology, sociocultural gerontology, and medical education research. Dr. Adler has been involved in direct teaching, curriculum development, advising and mentoring students, trainees, and junior faculty, and educational administration and leadership. She was awarded membership in the UCSF Haile T. Debas Academy of Medical Educators in 2005 and from 2007-11 served as chair of its Innovations Funding Committee. In addition to educational program development and implementation of end-of-life and palliative care training curricula, Dr. Adler conducts interprofessional educational research (direct-care workers, health coaches, teamwork skills) and mixed methods research in the experience of end of life in underserved populations, integrative medicine, and narrative medicine.